From humble roots growing up in a coal mining camp in Wise County, Virginia, Ollan Cassell built a successful, inspiring career in track and field. 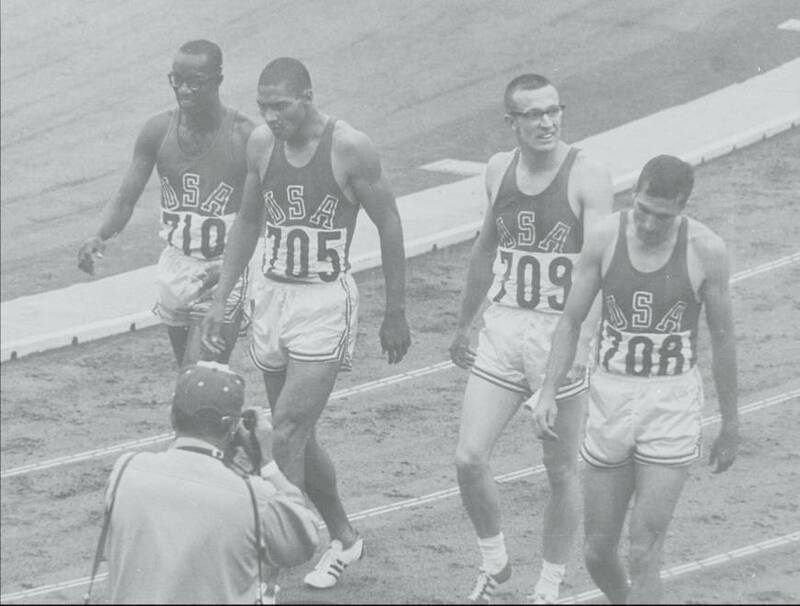 The 1964 Tokyo Games marked a major milestone in Ollan Cassell’s life and helped shape his future career path: sports administration. 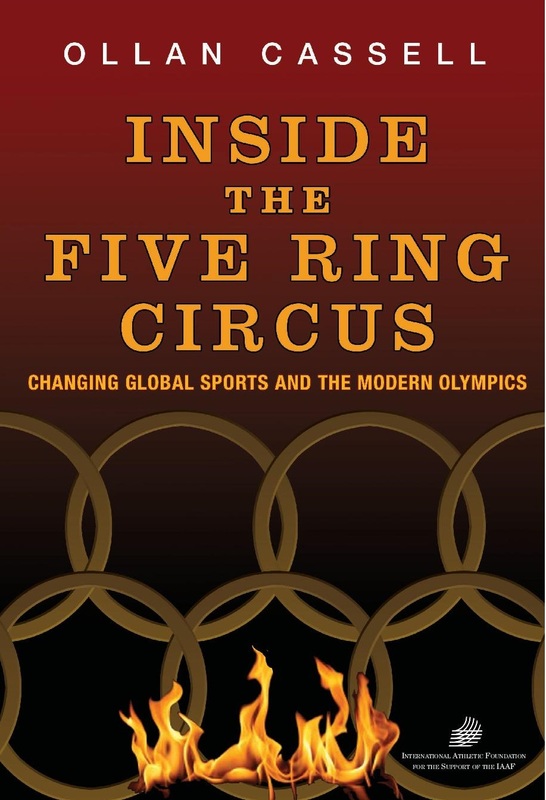 Cassell’s fascinating 2015 memoir, “Inside The Five Ring Circus: Changing Global Sports And The Modern Olympics,” co-written with Pete Cava, Elliot Denman, Jim Ferstle and Dan O’Brien, brings to life countless, individuals, events and places. For the final four decades of the 20th century, Cassell, who held executive positions with the Amateur Athletic Union, The Athletics Congress (later known as USA Track & Field) and the IAAF, was an omnipresent figure in track and field and in growing roles as an influential figure in American and international sports. He was seen and heard in locales spanning the globe. 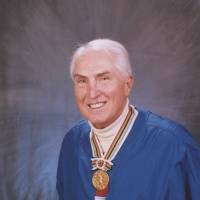 He shook hands and held talks across the decades with a who’s who of iconic sports figures, including former IAAF presidents Primo Nebiolo and Lamine Diack, Dr. LeRoy Walker, Frank Shorter, Colonel Donald Hull, Alberto Juantorena, Peter Ueberroth, Howard Cosell, Roone Arledge, Ted Turner, ex-IOC presidents Avery Brundage and Juan Antonio Samaranch, among others. His ambitious chronicles deliver the goods on how policies were concocted, how alliances were developed, how feuds grew over differences big and small. What’s more, he explains how leaders and lesser-known figures — for instance, lawyer Peter Alkalay, who represented The Athletics Congress, “who negotiated the (Italian sportswear apparel company) Kappa deal with the unusual terms of guaranteed payments (to TAC) with no return of money” — accomplished things. He details how and why they debated policies and circumstances in every imaginable place: hotel lobbies, stadiums, Russia, Cuba, New York City. But he doesn’t spill the beans on everybody and everything he saw and heard. 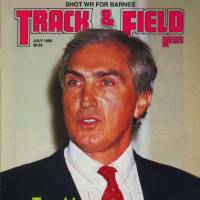 There’s a lot of stuff I left out, yes,” Cassell, a 2006 inductee into the National Track and Field Hall of Fame in New York City in the contributor category, revealed by phone. “I had two or three lawyers that were working with me and some of the things that I was considering (to publish) they considered it maybe libel, even though I had files on it. And even if you’re right and you can win a lawsuit, you have to defend it. He also displayed his business acumen in putting together deals that promoted track and other sports, both nationally and globally. Example: the CBS Sports Spectacular, an 18-week series that aired for 10 years, starting in ’67. Representing the AAU, Cassell delivered a plan for an 18-week TV track and field schedule to CBS Sports president Jack Dolph. It worked, bringing good exposure to the sport. In those whirlwind years, Cassell set up a number of intriguing track and field extravaganzas: Western Hemisphere vs. Europe meets, USA vs. Commonwealth nations, USA vs. Africa, etc. 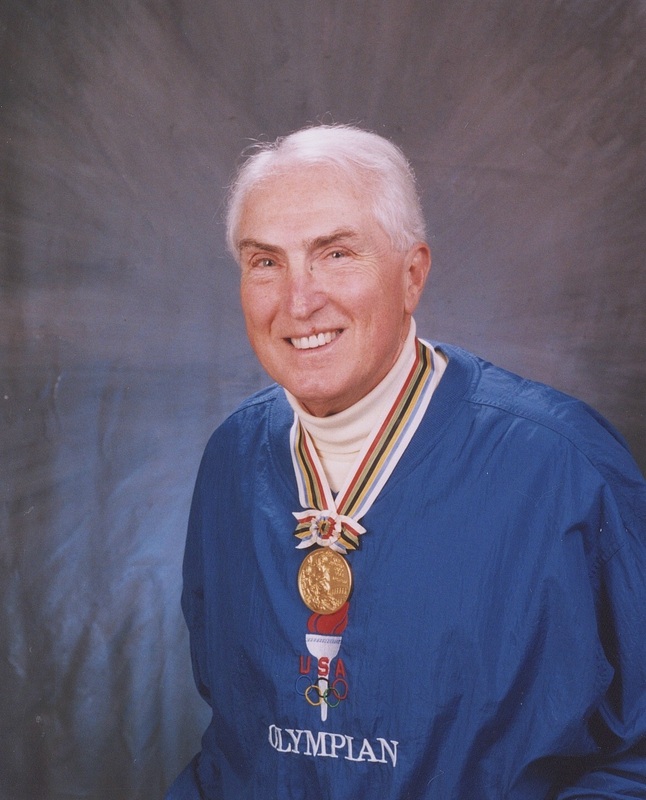 Years earlier, Cassell’s dealings with Soviet business partners put his negotiating skills to the test in his attempts to finalize a U.S.-Soviet dual meet despite a Soviet threat to withdrawal from a meet. There was no written contract. “I used to carry a small, voice-activated tape recorder and secretly record our negotiations,” he wrote. “This was mainly for my own notes, but I also suspected I might need the leverage someday. I sent them a lengthy letter. … The letter stated the terms of our agreement and, if necessary, I could sent a transcript of the secret tape recording as well as a copy of the tape to their Minister of Sports. “What I didn’t tell them was that on this particular occasion, the recorder didn’t work. “They fulfilled the agreement and the meet went as scheduled. A wealth of additional anecdotal material grabs your attention, keeping the book moving along from his formative years to the ’64 Tokyo Games to the 1970s, ’80s and beyond. The tome doesn’t shy away from discussing the link between the 1968 Mexico City Games and the ’72 Munich Olympics and how the power of television was the link. “There was a definite connection between the two,” he wrote. “Think about it. The ‘Black September’ terrorists and their supporters saw the attention the Olympics received, the (Tommie Smith and John Carlos Black Power salute) protests and all. They saw all those headlines. They saw all the TV coverage. They saw the world watching carefully. They wanted attention, too. And they were willing to do anything to get it. “So they chose the next Olympics as their time and place to strike . . . with murder as their weapon. “The world should have thought it out. The world should have seen it coming. The IOC and the Munich organizing committee should have taken serious precautions. But the world didn’t. Munich’s security system was incredibly inept, and we all paid the price. 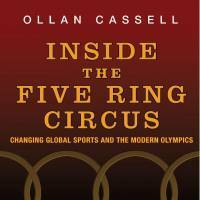 Cassell and his collaborators vividly described the slow changes and growing pains that took place to transform the national and international sports landscapes, shedding the amateur label for Olympic athletes and professionalizing sports on a year-round basis. In his chapter on the Mexico City Games, Cassell observed, “… Wads of money (were) secretly doled out to American athletes by the competing German shoe companies, adidas and Puma, another significant outgrowth of the Mexico City and one of the first signs that professionals would ultimately replace amateurs in the Olympics. But this wasn’t a new phenomenon. “Payments to athletes for wearing a particular brand had been in full force since Germany’s Armin Hary won the 100-meter gold at the 1960 Olympics in Rome,” Cassell noted. So what was a real game-changer for the Olympics, to what Cassell has written was the “antiquated strict-amateur code in world athletics”? He pointed to trust fund rules being agreed to by the IAAF Congress in 1981. 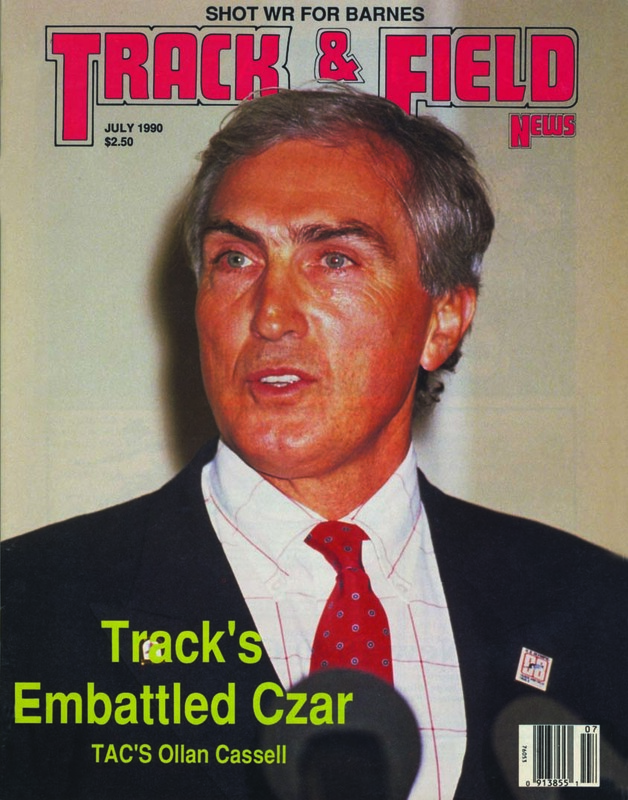 “Then, finally, it all changed in 1993 with completely revised rules which allowed athletes to negotiate their own contracts and accept payments without going into a trust,” he wrote. 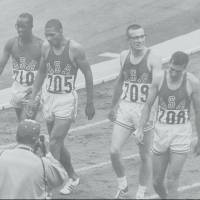 And the U.S. boycott of the Moscow Games ended the Olympic dreams of many, while also causing a pause for glory for others during their prime (see 400-meter hurdler Edwin Moses). While sports have never escaped the stranglehold of politics, drug use was also nothing new in modern Olympics. Performance-enhancing drugs grew with time as technology and geopolitical agendas extended their usage. Consider, as Cassell noted in the book, the fact that marathon runners took strychinine as a stimulant during the 1904 Olympics, and that future World War II Gen. George Patton, an American modern pentathlete at the 1912 Games, used opium to seek a competitive edge. Even though he became a proud Olympic champion, Cassell never felt it gave him the right — or the expectation — to receive preferential treatment. “I consider that to be a very valuable award,” Cassell told this newspaper, referring to his gold medal. He paused before adding, “but I’ve never wanted to flaunt the fact that I have a gold medal, or that I won a medal, or that I was in the Olympics. With that in mind, his gold medal wasn’t regularly displayed. Analyzing the overall situation with the doping crisis that followed the McLaren Report in the run-up to the 2016 Rio Olympics, Cassell said he believes the IAAF “moved in the strongest direction toward Rio,” citing the suspension of the entire Russian track and field federation. “Now the IOC didn’t do that (for all Russian Olympians),” he stated. “And I think the IOC’s the one that came out looking the weakest on drugs by not taking a firmer stance against the Russians. And so I think it seems to me like the IAAF is going to be the one that’s going to have to sort of lead this movement of stronger drug testing and make sure that clean athletes are the ones that are participating in international competitions. Is there an urgent need to empower WADA a bit more to police sports for drug cheats? “Yes, I believe that,” Cassell said. “. . .They seem to be moving in the right way that they have the ability to go into countries and to investigate what goes on in that country. “During my time, that was always a very difficult issue, mainly because with the East Germans and the Russians, they would never let you come into their country because they would say that it was against the laws of their country,” he went on. “But WADA seems to overcome that with the fact that they’ve created these national drug testing associations like the USADA . . . and their aim is to have one in each country around the world to be responsible to WADA. Like many others, Cassell believes that the mindset of bid city organizers who plan to outdo the glitzy projects of past Olympics is an unsustainable economic model. He cited the fact that Rio de Janeiro’s economic woes contributed to its problem of running the Summer Games, and needed major help — and cash — from the IOC to make it happen.